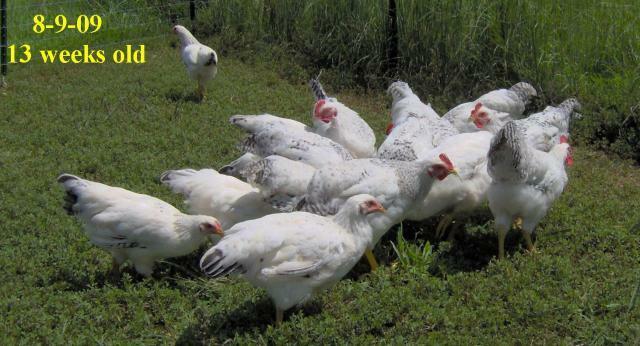 Discussion in 'General breed discussions & FAQ' started by TNpoultrybreeder, Aug 9, 2009. Here are a few pictures of my Delawares at 3 months old. Yesterday was the first time I heard one of the males crow. Those look really nice. I want to get me some of those! Wow, they've really gotten big! Very nice, TN!!!!!! Where did you get them? Very nice, I have 3. They are from Meyer Hatchery. These are the first Delawares I have had and they are very tame. They will eat corn & grass right from my hand. I can pick up any of them very easy as they are allways around my feet. 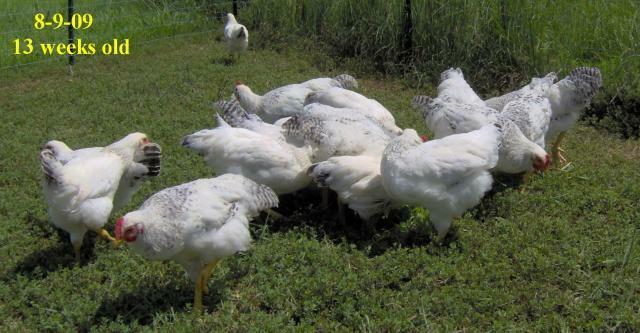 Some has said that the hatchery Delawares are not very nice but in my case the Delawares I have are from Meyer Hatchery and are some of the nicest and tamest chickens I have ever had. Thank everyone for the good words on my Delawares.